Neneh Cherry first got onto radio and MTV with “Buffalo Stance,” a blast of early danceable hip-hop that sounds as thrilling as it did then, ahead of its time and too much fun. Since then, Cherry has done quite a bit of growing up, releasing underheard albums throughout the ’90s, reappearing two years ago to release an experimental jazz album with The Thing and now we have Blank Project, her first solo album in 18 years. Her early adventurousness hasn’t been tampered a bit, as Blank Project sees Cherry teaming with producer Four Tet for a set of spare, adventurous electro-pop. This is no chilled-out, coffee house thing though; the title track rumbles with Four Tet’s electronic mischief, an out of place tambourine and Cherry’s commanding performance, singing with daring tonality about the difficulties that come with long-term relationships. The fuzz-bass-driven “Weightless” singing seemingly about losing herself in music—“mind is weak, heart is strong,” she sings of striving to keep on. Four Tet keeps things pretty minimal, but he pulls out the dance card when needed on “Out of the Black,” which sees Cherry singing alongside fellow Swede Robyn, another singer who found early fame, only to restart her career on new terms later on. 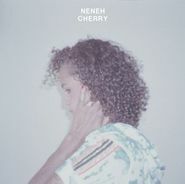 Hearing Cherry’s voice meld with Robyn’s amid Four Tet’s dazzling production, it sounds like Neneh Cherry is just getting started, wiping the slate clean and embarking on a new era in her career with Blank Project.